Debrian Travels: AAdvantage eShopping - still adding up the miles! AAdvantage eShopping - still adding up the miles! 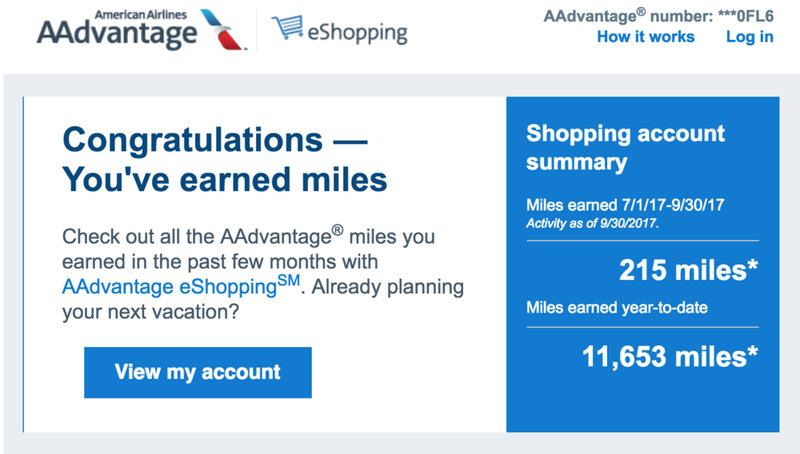 In January I wrote about how I earned over 11,000 American Airlines AAdvantage miles during 2016 by using the AAdvantage eShopping portal. Recently, I received an update from the site with my total points earned this year through the end of September and I have already surpassed the amount I earned in all of 2016!! I have already earned over 11,500 AAdvantage this year with the AAdvantage eShopping portal. Of the 11,653 miles earned year-to-date, a third of those came from hotel reservations via Booking.com. I don't normally use third party sites to reserve hotels as you often risk your hotel loyalty program points and perks if you do not book directly with the hotel company. 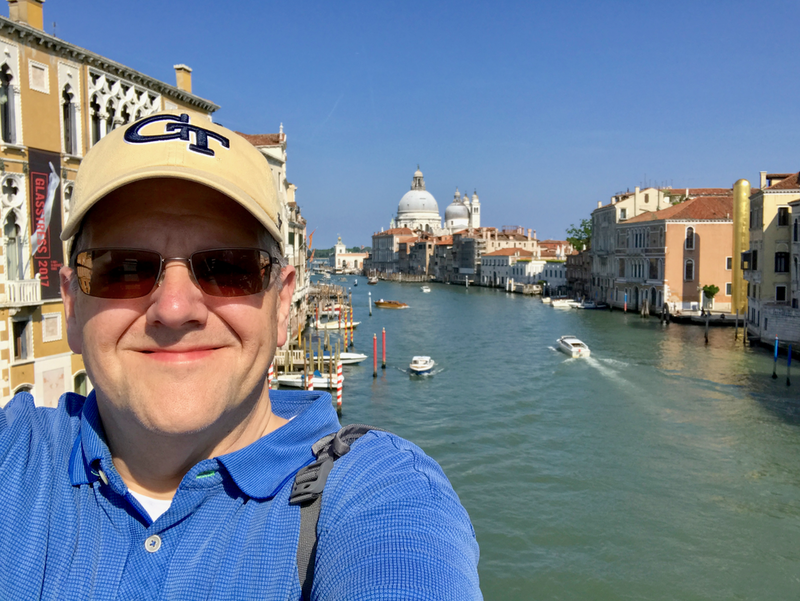 However, for our spring trip to Italy, in many of the cities we visited, we found that there were few choices with the American chains to which I am loyal. That left us with booking either European chains or local properties. For this type of reservation, Booking.com and sites like it are very useful to summarize the options in cities where I was unfamiliar with local chains and standalone properties. By accessing Booking.com through a portal, I was able to stack AAdvantage miles on top of the points I earned by charging my hotel stays to a credit card that offered bonus points for lodging. If you are unfamiliar with points portals, I highly recommend them. They are free to you and allow you to accrue additional points at businesses that you would normally shop online. I provided detailed instructions on finding and accessing these portals in my January post, so I won't repeat them here. Just click the link at the top of this article! Have you used portals? Have you managed to earn a sizable number of points doing so? Let us know!